THE MOST TRANSPARENT and COST EFFECTIVE car rental booking engine to hire a car in PLEVEN. Budget car rentals are offered in every rent a car class in PLEVEN - economy car rental, sedan or estate car, family minivan, 12-17 passengers minibus, adventure 4WD, cargo van or a couch. Our PLEVEN car rental fleet is built of reasonably priced cars for rent available at low rates starting from 7 EUR a day on all-inclusive basis - full insurance, unlimited mileage, second driver free on a single contract, pre-paid road taxes and everything else you may need with your car rental. Being long in the car hire customer service we know what you expect from us, and how to treat you. CAR RENTAL REVIEWS FOR PLEVEN! We value our returning car rental customers and reward them with great online discounts. If you book over 3 car rentals with us, you are entitled to a discount rent a car coupon. Don't forget to check our BULGARIA CAR RENTAL TIPS and to ask for our latest AIRPORT TAXI HIRE deals in Pleven. Sited where the foothills of the Balkan Range descend to meet the Danubian plain, 174 km northeast of Sofia and 146 km southwest of Rousse, Pleven is an important administrative, economic, cultural and transport centre in northern Bulgaria. The seventh largest city and one of the oldest settlements in the country has a lot to offer in terms historical and archeological monuments and worthwhile urban sights. Many of these are monuments and museums honouring the most decisive episode of the War of Liberation - the renowned Pleven Epic Panorama, housing a huge depiction of the siege of Pleven, the Skobelev Park, a point of fierce fighting in 1877 and now restored with numerous cannons secreted within the greenery hereabouts, the extensive historical museum, housing one of the nation′s best history collections from the 4th millennium BC, through the finds from the Roman Empire, and an array of examples of live and art from the 17th and 20th century, the art gallery, the early 4th-century Christian basilica. Visitors to Pleven should definitely see the famous Kailaka park, once a site of a Thracian settlement and now a place where local people unwind at weekends, taking advantage of the park′s swimming baths, watersport facilities, open-air theatre, and a restaurant in a cave at the foot of a limestone cliff. Pleven is also an important road and railway transport junction connecting Sofia, Plovdiv, Varna and Rousse and an ideal base for exploring central north Bulgaria by a hire car. If you happen to rent a car in Pleven, you can easily reach Sofia by a hire car along highway E83 and E79 westbound, Rousse along E83 westbound and E85 northbound, the Valley of Roses to the south via several trans-Balkan routes, and from Pleven to Varna and the Black Sea coast is just a 4-hour drive. If you are planning on booking a car hire online in Pleven, your best chance of finding the car you need at the best price is by using Motoroads complete car hire reservation system. This allows for instant vehicle availability, free quotation and booking confirmations at the touch of a mouse. Our goal is to provide not only the lowest car rentals in Pleven but to ensure your flawless car hire experience with our excellent 24/7 customer support. PLEVEN CAR RENTAL » WHY MOTOROADS ? What you see is what you pay! We don't apply any hidden charges online or at our Pleven car rental desk. Your Pleven car rental booking is processed online instantly on a secure server. We require only a small amount to be paid in advance to secure the booking and the balance is due upon car collection in Pleven. We apply the most fair fuel policy FULL-FULL for all Pleven car rentals. You will get your rental car with full tank in Pleven and have to return it full. Some exceptions may apply for busy rental periods. Our Pleven car rental rates include full insurance - Third party liability coverage, CDW (Collision damage waiver), VTW (Vehicle Theft Waiver) and no excess. 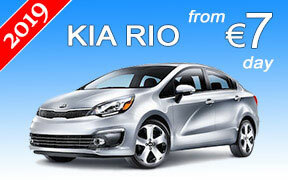 All Pleven car rentals have unlimited mileage. The second driver on your Pleven car rental contract is free of charge. We do not charge any additional fees for winterization (winter tires) online or at our Pleven car rental desk. All cars are equipped with proper seasonal tires. You can change your booking free of charge up to 24 hours prior to car collection in Pleven. It is subject to availability for the new car rental period.